First the bad news…Benedict Cumberbatch was not introduced as Dr. Strange today, reinforcing reports from yesterday that the negotiations are on-going for him to take on the role. We also didn’t get surprised with an appearance by Andrew Garfield. Marvel Studios President, Kevin Feige welcomed the packed El Capitan Theater with the same Avengers: Age of Ultron teaser trailer that everyone saw at the end of last week. 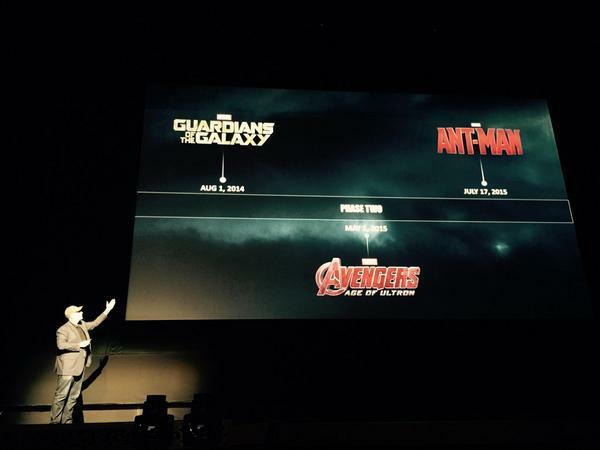 Then he proceeded to rip the roof off the place with a progression of announcements for the future of the Marvel Cinematic Universe to bring a tear to the eyes of fanboys and girls around the world. Phew, that’s a lot of stuff happening, but the fun didn’t just stop after the announcement of the slate. We also were introduced to the cast of a Captain America: Civil War (which was originally titled “Serpent Society” for about 10 minutes)! 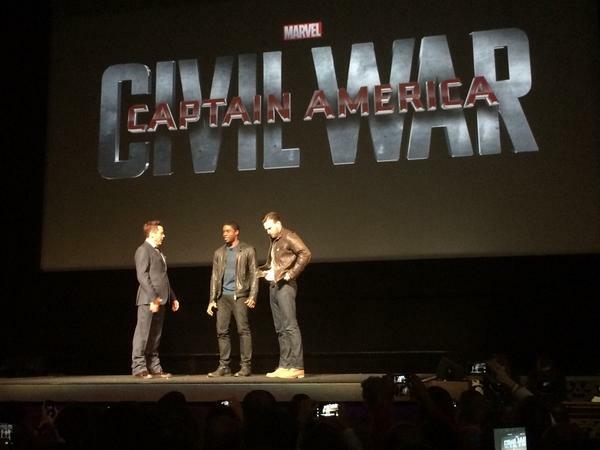 First Chris Evans appeared on stage, joined by Robert Downey, Jr., and a new castmember, CHADWICK BOSEMAN as T’Challa, aka The Black Panther. Boseman being cast was a real surprise as it confirmed the long-held rumor, along with the announcement of Captain Marvel and The Inhumans, shows that Marvel really has an ear to the streets. What a glorious day! Stay tuned as we will continue to cover this breaking news!! !